Purchasing or selling real property, for your home, business, or investments. Short Sale - Represented Buyer on a short sale purchase of a condo. Negotiated a purchase price reflecting a 66% discount over its previous sales price in 2007. BMR also secured bridge financing to get it closed in 18 days from final bank acceptance. REO Purchase - Represented Buyer for the purchase of a single family home in Los Angeles. Succesfully negotiated a transfer at 61.5% of its previous transfer price just two years earlier. 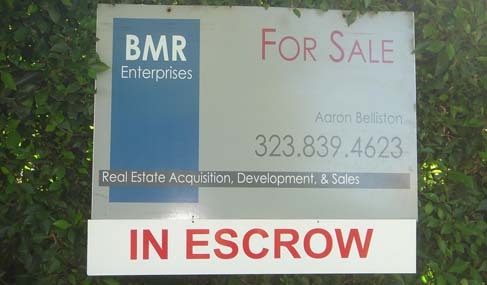 BMR also won seller credits and repair work for the buyer, then secured financing and a tax abatement. for the buyer. Duplex Sold - BMR was called in after a leading realtor's unsuccessful effort to sell. With some repositioning and strong negotiations the duplex sold for over $1.5 MM.